ICAR AIEEA 2019 Application Form has been Released on 1st April 2019. All India Entrance Examination for Admission (AIEEA) is conducted by NTA (National Testing Agency). It is National Level Entrance Examination & Conducted Once time in a Year. All India Examinations (AIEEA) will be held on 1st July 2019. The AIEEA under Graduated and AEEE Post Graduated is conducted for candidates so they can get admission in undergraduate and postgraduate including PG Scholarship. ICAR conducts AICE-JRF/SRF (PGS) for admission into Ph.D. courses. 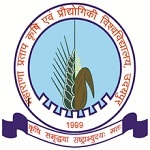 Through ICAR AIEEA 2019 UG exam, 15% of seats will be filled with bachelor degree programmes (B.Sc ag./ B.Tech/B.F.Sc, etc.) 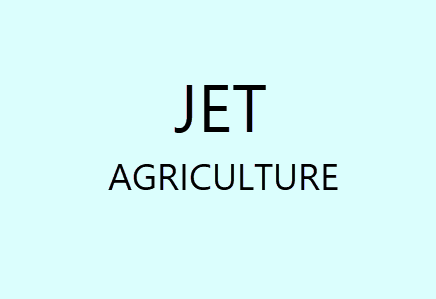 in Agricultural Universities (AUs). Here, details are provided which included Application Form, Eligibility Criteria, Exam Pattern, Admit Cards Ad Exam Date Etc. ICAR AIEEA 2019 Application Form has been Released on 1st April 2019. Click Here to Check Application Details. Applicants who want to apply must know the important date of ICAR AIEEA 2019 for UG and PG courses. Applier is requested to check all updates related to ICAR AIEEA 2019 on the official portal on online mode. 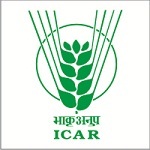 ICAR AIEEA 2019 Application Form has been Released on 1st April 2019, and the Last date for submission of online application form is 30th April 2019. The application form will be available in online mode on the official portal of ICAR AIEEA 2019. Candidates can be filled till 30th April 2019. After filling the application upload the scanned copy of the signature, photograph, and thumb impression (his left/ her right hand) and take a print copy of it. Fill and apply for the due dates. Candidates need not to require to submit any mark sheet/certificate along with the application. After filling the online application, a candidate needs to take the printout of the computer generated confirmation page. Enclose the confirmation page along with a copy of bank challan (duly stamped by the bank) and send it to the given address through registered/speed post. No correction will be allowed after the form submission. For different exam and category, there are different application fees below is given table where exam, category and application fees are given. Candidates can pay application fees through online mode. Payment can be done by credit card/debit card using net banking of Canara Bank. Before applying check ICAR AIEEA, 2019 full eligibility criteria frame by authority according to courses wise and check whether you are eligible to apply or not. Check Nationality, Age Criteria, Qualifying Examination, Minimum Marks and Appearing Candidates of AIEEA UG and AIEEA PG exam. Candidates applying should be INDIAN citizens, there are many criteria given below. Nationality: Candidate should be an Indian national citizen. Aadhaar Card: Aadhaar card is mandatory except Jammu & Kashmir, Assam and Meghalaya state candidates. Those applied for Aadhaar card and haven’t received it yet can enter the 16 digit number given on the enrollment slip. Age Criteria: The minimum age will be 16 years as on 31st August 2019. Qualifying Exam: Candidates must pass the 10+2 or equivalent examination from a recognized board with PCM/PCB/PCMB/PCF subject combinations. Minimum Marks: General/OBC/UPS category candidates have to obtain 50% marks for and 40% for SC/ST/PC category candidates. Appearing Candidates: Such candidates can be also eligible to apply but, they have to produce the proof of qualifying the examination. Age Limit: The maximum age should be 19 years as on 31st August 2019 (should not have been born after 1st September 2000). Qualifying Exam: Candidates must have a bachelor’s degree in any respective field under the pattern of 10+2+5 (B.V. Sc. and A.H.), 10+2+4 and 10+6. 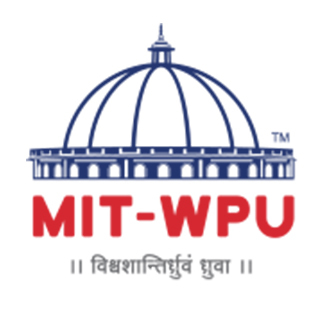 Those passed the bachelor’s degree in the pattern of 10+2+3 can apply for IARI Pusa and NDRI Karnal. Minimum Marks: Candidates must secure 60% marks (50% for SC/ST/PC categories) in the qualifying exam. Here, candidates can check the separate exam pattern for AIEEA UG and AIEEA PG programmes. Mode of Exam: The exam will be conducted in offline mode (OMR). Duration of Exam: The length of the exam will be two and a half hours. Marking Scheme: Each correct answer will be awarded four marks, and for cross-matching questions, five marks will be awarded. Negative Marking:1 mark will be deducted for each incorrect answer from total score, and 0.2 marks will be deducted for cross-matching type questions from the total marks. Duration of Exam: The duration of the exam will be 150 minutes. The extra 50 minutes will be provided to the visually challenged or blind candidates. Language: The question paper will be bilingual, i.e., English and Hindi. Marking Scheme: For each correct answer, four marks will be awarded. Negative Marking: For each incorrect answer, one mark will be deducted from the total score. Check preparation tips this will help you to score well in ICAR AIEEA examination. 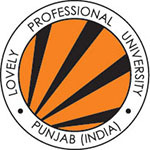 The study from provided syllabus and exam pattern as mentioned on this page. 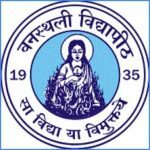 Collect all details related to ICAR AIEEA 2019 syllabus of entrance examination. Prepare for examination as described in the exam pattern. Prepare notes according to the syllabus and revise it will help you to revise, and make a study schedule so will study all topic in time. Revise all important topics and chapter from subjects. 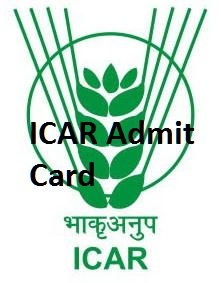 ICAR AIEEA 2019 admit cards will be Available on 5th June 2019. Admit cards will be available in online mode from ICAR website. The principal of college/school last attended or by the gazetted officer will attest the copies of admit card. Here, candidates can check the ICAR AIEEA 2019 admit card. To access admit cards page enter the application number and date of birth. After downloading and taking print out stick photograph, and make the signature, as well as put thumb impression on the, admit card to appear the examination. ICAR AIEEA 2019 Answer Key will be Available after the Exam. After a few days of exam result will be published on the official portal. Candidates can check their result on online mode from the 17th July 2019. The result will be issued in the form of merit-rank and category rank obtained by the candidate. Here, candidates can check the ICAR AIEEA 2019 result. ICAR AIEEA 2019 results will be issued on online mode. To see the result page use login account details. The ICAR AIEEA result for both UG and PG course will be released in the first week of June 2019. Candidates who score qualifying marks will be eligible to attain counseling. A candidate who is attending the ICAR AIEEA 2019 Counseling has to bring all requirements original documents/certificates at the time of counseling. ICAR Counselling will be held as per schedule notified by the authority. Candidates will be called for counseling based on merit ranks. Download call latter from the official portal of ICAR AIEEA 2019 to participate in the counseling. ICAR AIEEA 2019 test centers for Under Graduate admissions have not been issued yet. However, last year AIEEA exam for UG admissions was conducted at 49 test cities. Once a candidate selects his/her test city center he/she will not be able to change it later so select properly. For any other queries about ICAR AIEEA 2019, you may leave your queries below. Is there ABC stream this time?